Hello, folks, it’s a cold 11th of November and we’re closing on the calendar to calling it a year. Before we hit that mark let’s wrap off this week’s news, shall we? This week’s news covers Android Auto now available on every Android phone, Google shipping it’s Daydream View VR Headset, Instagram working on Live Videos, Whatsapp rolling out Two-Factor Authentication, Xbox One Holiday Update, and Google bringing RCS Messaging to Android via the Messenger App. It’s a mouthful so let’s get started. 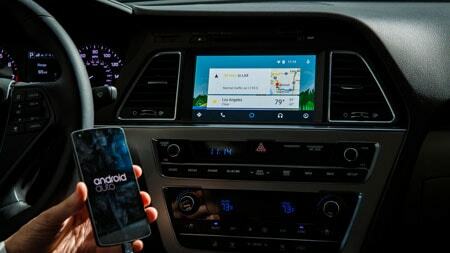 Android Auto was debuted in 2014 and it was a step into the automotive market for the search giant. It was an attempt to bring Google smarts to your car dashboard. At the launch, Google had a handful of partners on board including Hyundai, Chevrolet, Ford and many more. Two years into the launch and it’s still going strong. And to accelerate the adoption, even more, Google pushed Android Auto to just about every phone you can think of. Anyone running Android 5.0 or newer on their phone can download the app and use it disconnected from the car. It’s brilliant, and it’s pretty much what Google Maps should have been already. Launching the Android Auto app immediately displays your default music app information and the last song you played, as well as some of your previous destinations and a quick summary of the weather in your area. You can play your music, make a call and get directions all on one simple screen. The update will be rolling out over the next few days, and you can sign up to be notified about it on Android’s website. Back in the summer, during Google I/O, Google showcased Daydream, the platform for all things VR. Along with the Daydream platform, Google also showcased the Daydream reference device for manufacturers to start building hardware for the platform. In October, Google showcased the Daydream View VR Headset which was the physical manifestation of the reference device. It costs $79 and its made out of the kind of materials you might actually end up wearing. Yes, you guessed it, it’s all fabric and super comfortable. The device started shipping this week and reviews across the internet have been super positive. It comes with a dedicated controller which acts as your single source of interaction in the VR world. If you are in the US you could get a unit via BestBuy or the Google Store. Snapchat had once carved out a niche for itself in the social media in the past few years. Mostly because of the kind of features it offered but ever since Facebook failed to acquire Snapchat they’ve badgered it by copying every single feature Snapchat offers. 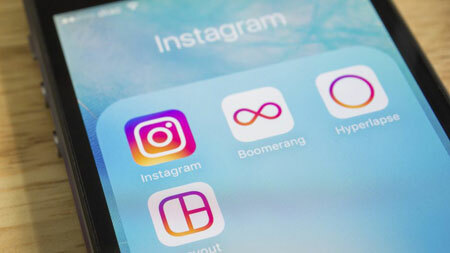 And delving deeper into that realm, Instagram is tearing a page from its mother app Facebook and bringing Live Videos to their platform. Yes, you heard it right, the company confirmed that they are indeed working on the Live Feature which is set to launch in the coming days. Facebook has been extremely bullish on the concept and the company boasts that it’s users watch live videos more often than ever before. Whatsapp is the key communication medium for a lot of us right now and it’s important to keep our chats secure. This why the company launched end to end encryption a few months ago. To add an extra line of defense the company recently added the option to enable Two-Factor Authentication. This would prevent anyone trying to get access to your phone to clone it and get access to your WhatsApp chats. This may sound inconvenient to people but the idea is to disallow any unauthorized access. This feature has been rumored for some time but it’s only recently that they added it to the beta finally. Xbox has always been Microsoft’s most promising way to get into your living room. And they pushed it up a notch with the Xbox One release. It was more than just a console, it was a media hub. 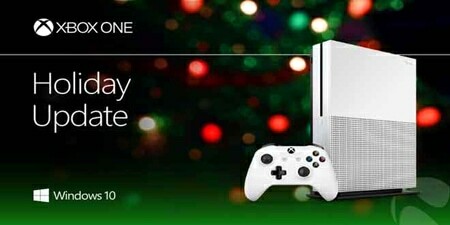 And to enhance its capabilities more and to provide a richer experience, Microsoft is starting to roll out its holiday update to the Xbox One. This update brings 2 new features to the Xbox One and Xbox Live. LFG and Clubs. LFG for Xbox will let gamers find people to complete quests, achievements, and other activities by posting on Xbox Live. The result is like a forum post that others can filter to find, and quickly start a party chat and play the game required. It’s a useful way to avoid LFG sites and spare your inbox from lots of Xbox Live messages. Alongside the LFG feature, Microsoft is also rolling out Clubs with the holiday update. Clubs are designed to be created by anyone on Xbox Live, and you can create unique names for these groups just like a gamer tag is unique. They’re effectively Microsoft’s version of clans, and they make creating parties, sharing game clips, and party chat a lot easier for groups of friends or people interested in the same game. Xbox One will also support group messaging on Xbox Live. Group messaging lets you send a single message to an entire group of friends or a clan, and everyone can reply using the Xbox apps or an Xbox One console. Microsoft is adding emoji to its Xbox One keyboard to assist with group chat messages, so you can get creative with your replies. 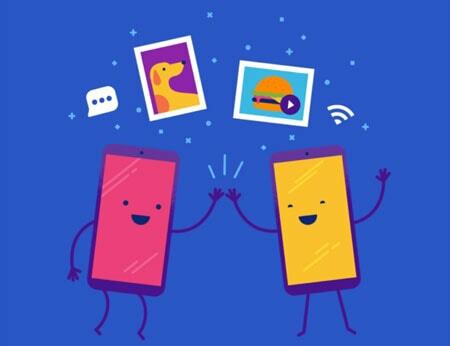 About a week or so ago the Internet received several hints of Rich Communication Services, aka RCS in the code base for the Google Messenger 2.0. And as of today, they’ve made it a reality. After the acquisition of Jibe last year, the company based on Rich Communication Services Google has been hard at work to get the technology to work at scale and get the compatibility with the carriers. In an effort to notify Messenger users that RCS has been enabled for them, Google is displaying small popup messages that allow the “enhanced messaging features” to be turned on. To enable these features, Google is requiring that battery optimizations be turned off for Messenger in order for it to stay connected in the background.Doing so will reward you with three options to toggle in settings: “Enable enhanced features,” “Send read receipts,” and “Show typing indicators.” While the last 2 options are self-explanatory, the first one basically means that it would use your Internet to allow you to have a better and richer messaging experience. Ahn! Some of the news are not being true but yes it’ll be a good blog as I’m your regular visitor. Please try to elaborate it more with videos also. Hey, buddy! 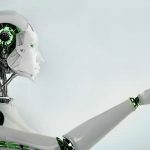 Great article with very detailed info. Liked it very much! It’s a very nice post, thanks for sharing such a useful info with us.